Cramped kitchen? You’re not the only one. Perhaps you sacrificed having a larger kitchen for a bigger living room or formal dining room. Whatever the case may be, there are several ways that you can enjoy your smaller kitchen, you just have to use a little strategy. Here are four small kitchen strategies to use when maximizing this room’s space. When maximizing the space of your small kitchen, the easiest way to do this is to make a couple old-fashioned lists. Once you’ve unpacked or are packing up your kitchen items, take an inventory, then list them in either the “Keep,” “Donate” or “Store” columns. 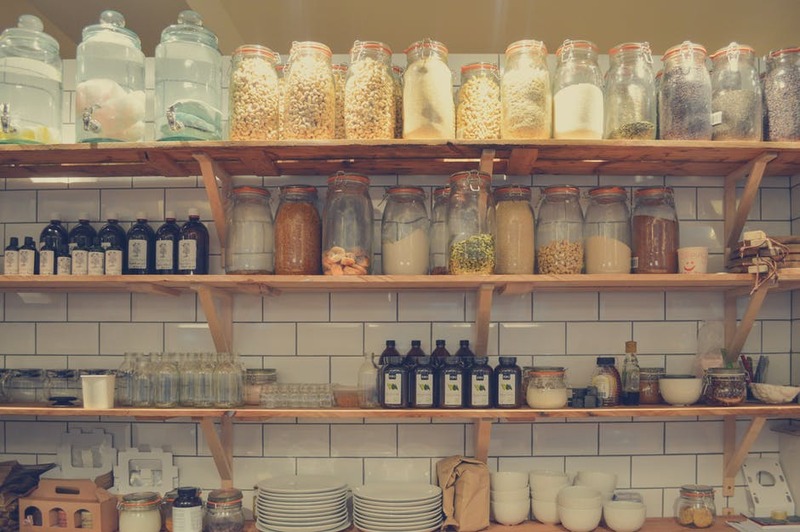 “Keep” items are those that you’ll use in your kitchen on an everyday basis. The “Store” items are those items that you only use every few months, like an ice cream maker or a three-tier cake stand. Then of course all of the other items will be donated. Once you get organized, you’ll have a better idea of what will go where in your kitchen. Use a magnetic strip to hang your knives. Add hooks to hang everything from mugs to dish towels. Hang a rack of shelves behind your kitchen door to hold pantry items, spices and more. Incorporate stackable shelves in your cabinets and pantry so that no vertical space is wasted! Hang storage racks on the inside of your cabinet doors if space permits. Install pull out racks for your pots and pans, cutting board, baking sheets and more! Instead of having these stacked, or tossed, underneath your cabinets, easy-to-pull racks are great for organizing while best utilizing a small kitchen’s real estate. Turn any odd-sized nooks into artful areas. Do you have a small corner of your kitchen or a bit of space between the top of your cabinets and your ceiling? Though these areas are oddly sized, they make great spots to display some of your kitchen treasures, whether you have a vintage set of bowls or a set of glassware passed down in your family. Whatever the case may be, this is the perfect opportunity to display your beloved kitchen items while also allowing them to act as decor. When your kitchen is on the small side, chances are that it’s lacking in countertop space, too! The great thing about kitchen islands is that you can push them aside when you’re not using them, but if you’re cooking, they act as another area to prepare food, or just a place for you and your guests to socialize while cooking. Kitchen islands also often come with bonus cabinet space, which means more areas to stow away your cookware and other items that don’t fit in the kitchen.